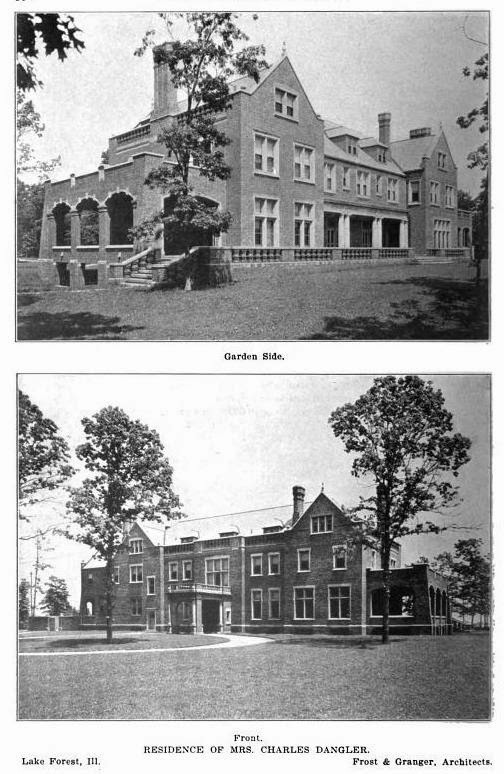 'Fairmore', the Mark Skinner Willing residence designed by Frost & Granger c. 1900 in Lake Forest, Illinois and pictured here under the ownership of Mrs. Charles I. Dangler. I am unsure if the house is extant. 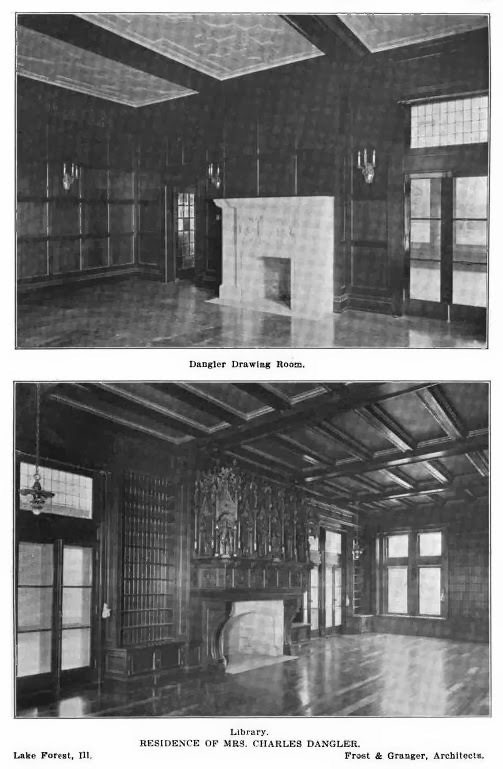 Photos from Architectural Record, 1909. Please don't abandon this blog, I prefer exploring the mansions beyond the Gold Coast of LI! Sadly no longer standing, though it may be that the current house (ca. 1958) incorporated one of the gable ends into it. P.S. I agree, please don't abandon this blog! The Willing house was located at 77N. Stonegate Ln. It is reported to have been demolished and the current house at that location does not look anything like the original, although something of the house could have been incorporated as 8:29 suggests. Interestingly, there is a house slightly north, along the lake that seems to be more a possibility, with one of the gables, the dormers and some similar window placement.